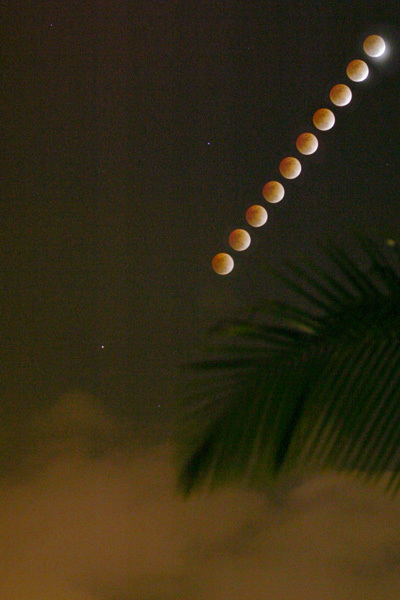 Another view of the 02/20/08 lunar eclipse. The same source images as were used as before, but they were composited differently. Although the color is wrong, I think that the image works much better than the one that I put up yesterday. This entry was posted on Thursday, February 21st, 2008 at 11:19 pm	and is filed under Amateur Astronomy. You can follow any responses to this entry through the RSS 2.0 feed. Both comments and pings are currently closed.